Starting at $119.50 per person. Based on double occupancy. This package includes one night’s accommodations for two in a two-room suite, one day of unlimited golf per person with a shared power car and one bag of range balls per person. Packages are customizable based on number of people in party and number of nights stay. Call for more pricing information. 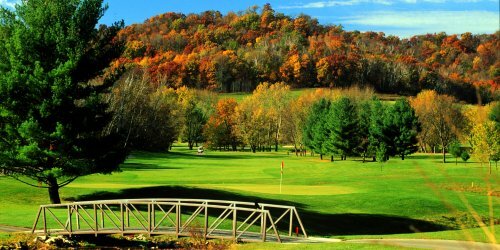 When calling 608-588-7000, please mention you saw this golf package on GolfWisconsin.com and mention promo code: GolfWisconsin.com.